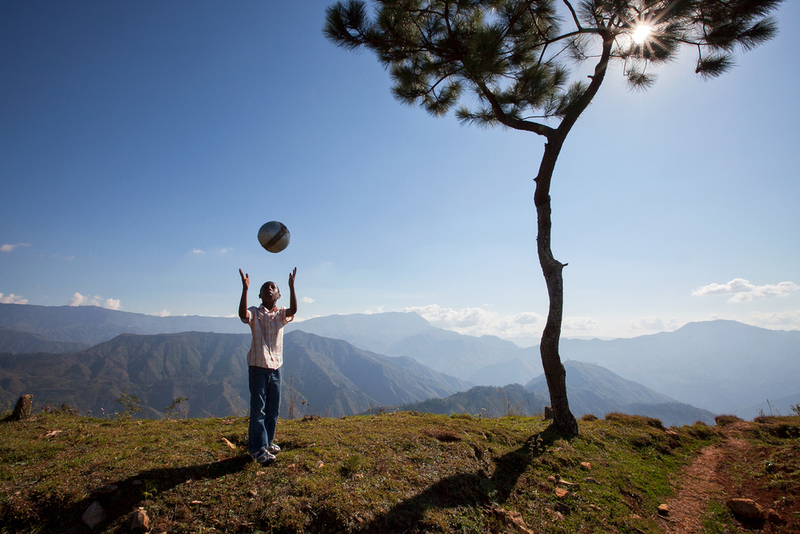 A young boy practices soccer in Gramothe, Haiti. In this small mountain village, people are overcoming challenges and realizing their true potential with the help of local leadership and foreign volunteers. After delivering water by hand, farmers in Gramothe nurture crops that include onion, leek, sweet potato and cabbage. Yearly increases in the harvest have bolstered nutrition in the community, as well as incomes. Villagers survive with only the barest necessities, but the mountainside they inhabit has relatively rich soil to sustain crops. Children from a nearby orphanage also attend school regularly in Gramothe. On a day off from classes, a girl reviews lessons in the orphanage's common room. A local artist proudly holds his latest masterpiece depicting a traditional scene from the Haitian culture. 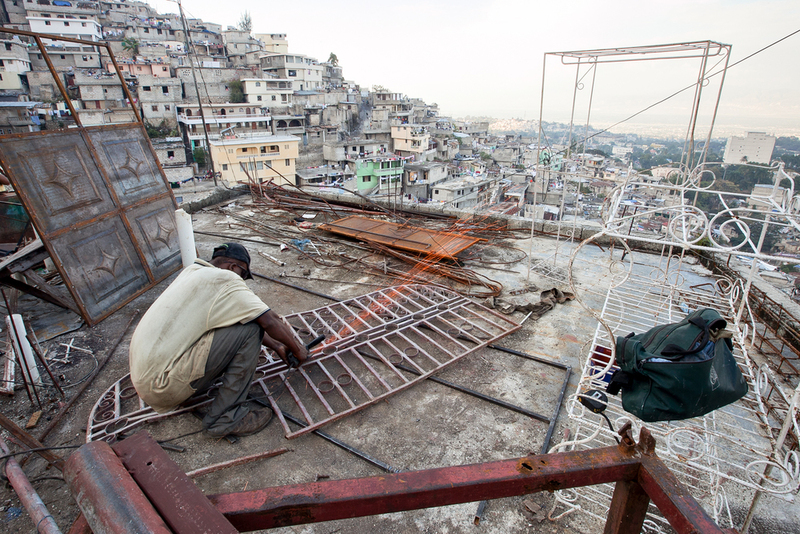 He sells his work at a popular road-side lookout known for its view of Port-au-Prince. The opportunity for free education at Gramothe's school draws children from miles away. Some walk four hours a day to attend in return for the prospect of a brighter future. Many of Gramothe's residents have family members in Port-au-Prince and other large cities where the 2010 earthquake's consequences are still manifest almost everywhere. Even years after the quake, the wreckage it produced remains on display in Port-au-Prince. In regions outside of Gramothe, difficult living conditions, malnutrition and lack of medical attention may lead to the inhabitants' biggest loss. Views into overbuilt and crowded cities outside of the village act as a vivid reminder that progress remains thwarted and choked as few people attempt to rebuild and develop. Prayer, faith, and worship form an intimate tapestry in many Haitians' lives. In order to enroll in the school in Gramothe, students must attend a church service at least two weekends per month. The positive developments in Gramothe spell better prospects for the kids and teens who live here. Villagers gather in the medical clinic corridor, where nurses take vital signs and perform preliminary exams before sending patients for further evaluation. Bacterial and viral infections, high blood pressure, malnutrition and arthritis are some of the most common ailments treated at the clinic. Two boys sleep on one another as they await their turn with a nurse at Gramothe's medical clinic. The teen carried his younger sibling for hours on foot to seek treatment. 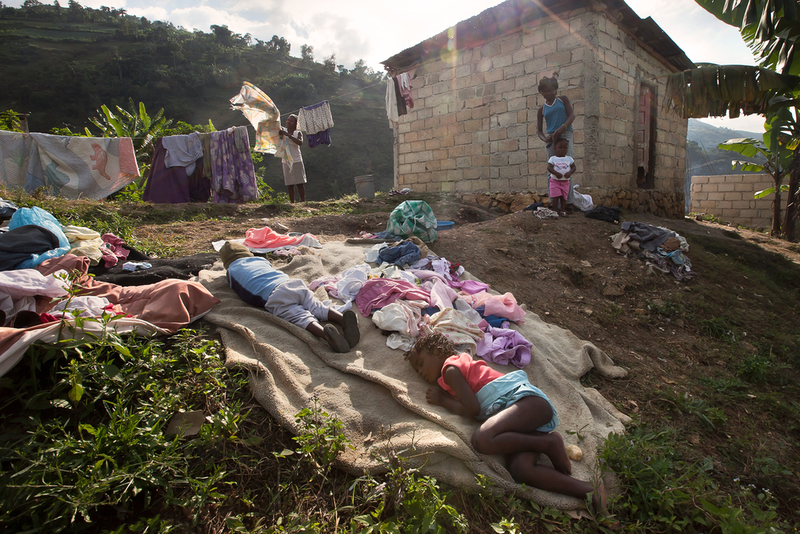 Medical teams from outside Haiti provide care to villagers several times a year. Family members take turns collecting mountain spring water from a newly installed spigot for daily cooking, bathing, drinking, and laundering. The homes throughout the village are getting larger and families are able to take in pets; animals that usually would remain as strays in the past. Outside Gramothe's church and school buildings, children have a safe place to play and interact with their friends and classmates. While Gramothe offers a better life for some, daunting challenges remain, both here and across Haiti. Gramothe, Haiti is a mountain village located 13 miles southeast of Port-au-Prince where a model society is being built, crafted, and nourished. Through dedication, perseverance, donations, and vision, a Haitian-American family is successfully creating an opportunity that inspires villagers in and around Gramothe to realize their full and true potential. With proper leadership, this progressive community could potentially expand across the entire country. Since 1999, one determined family built a church, a school with grades kindergarten through secondary, and a medical clinic in Gramothe -- in 2010, construction on a new hospital began. 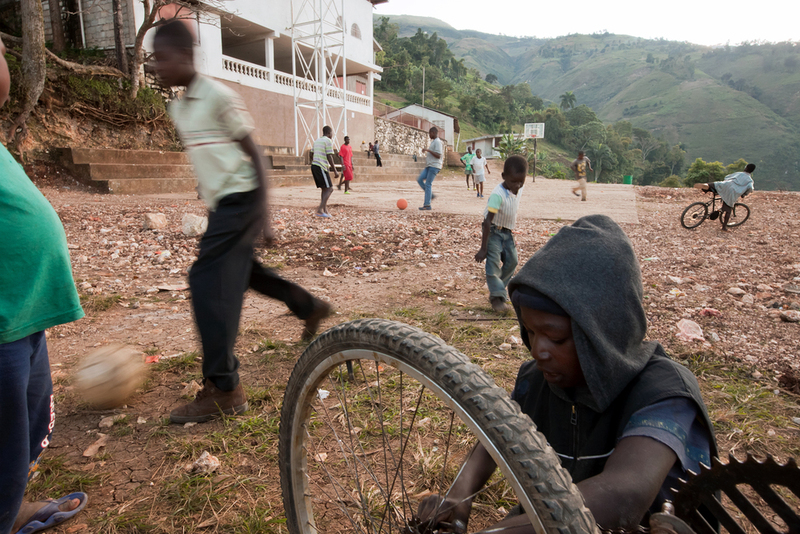 Haitians throughout this steeply mountainous region are beginning to feel the changes deeply. More children are attending classes, the number of crops per family is growing, visits to the clinic (open only when foreign medical teams arrive) are on the rise, as are the number of people participating in religious services or classes. Though the suffering in Port-au-Prince and in the hills around Gramothe is visible and palpable, Gramothe itself remains a bright spot and a source of hope.